I think after the LA Ermor game bonus the rest of us kind of let the discussion that resulted stew a bit and then got caught flatfooted when Lilli started updating again. 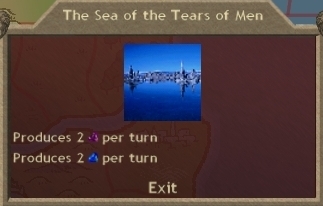 +3 water gems is great. 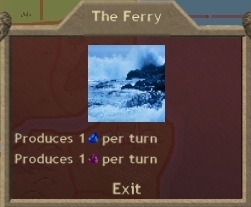 My pretender has the paths to summon Naiads to forge Clam of Pearls, but Lanka has no native water income. Hinnom is on the move again. Sauro has 4 Witch Kings scripted to skellyspam, his Prophet, and his Pretender. My army is in a very standard placement. This turns out to be a huge mistake. Ah, the difference between offensive and defensive battles. Sauro's round 1 volley is terrifyingly huge. Part comes down on my expendable undead, part slams into my Atavi archers. 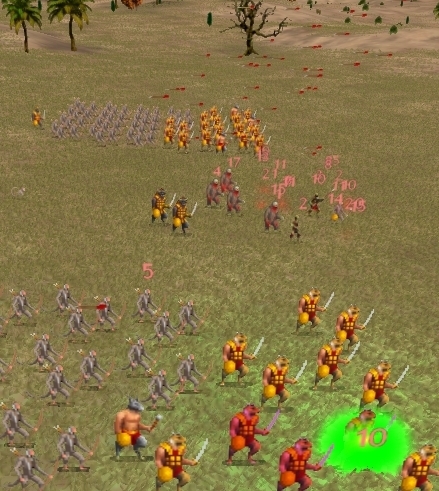 At first I thought Sauro had finally swapped to Fire Archers scripting, but the next round he shot at my advancing demons. 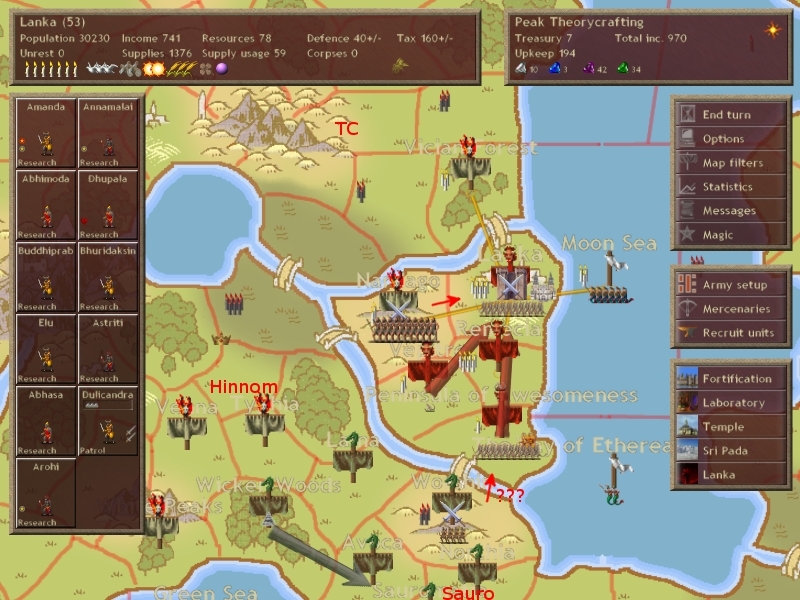 This implies that my Atavi were simply subject to a Fire Closest or plain "Fire" bombardment due to their forward placement. Note that if I had moved first, my demons would have closed considerably and therefore anything on fire closest would have less collateral damage. 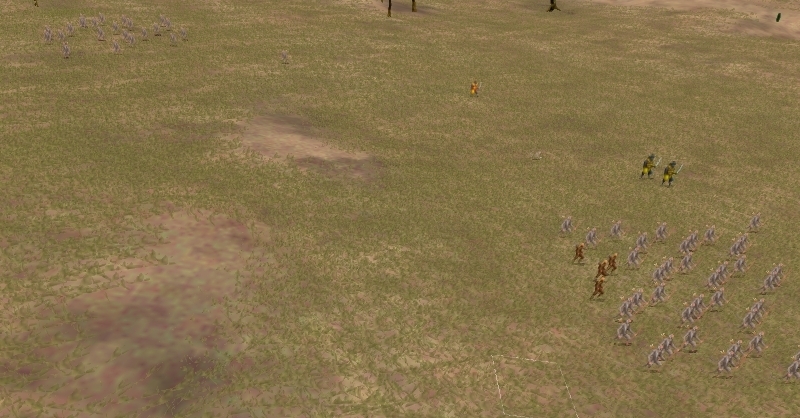 Also my placement mistake is not using any archer decoys. 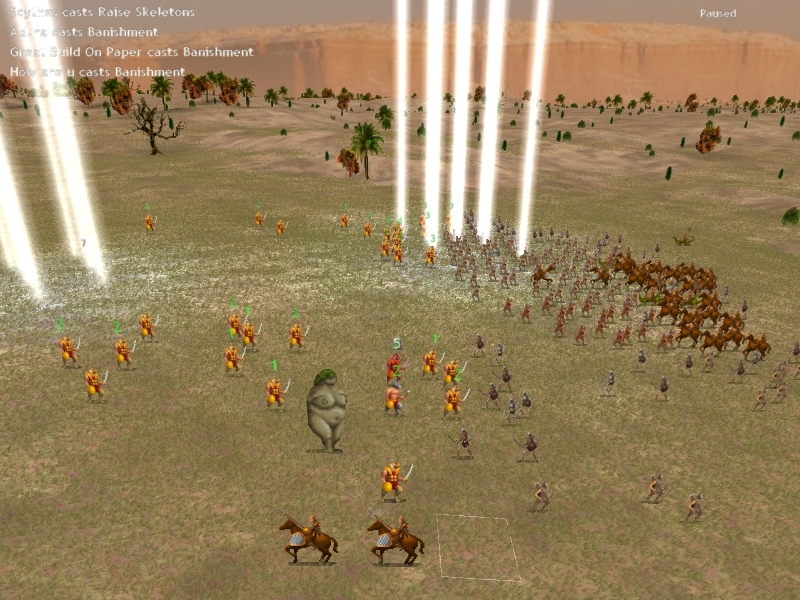 In previous battles I used Markata as Fire Archers chaff. Small squads of Atavi might have done the same thing. Nevertheless the return volleys are still deadly. If having no decoys is my mistake, Sauro has continuously made the same mistake. 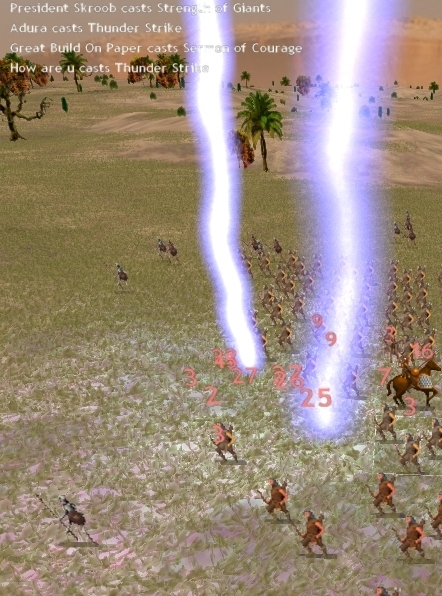 I have two Thunder Strike casters who make their presence known. 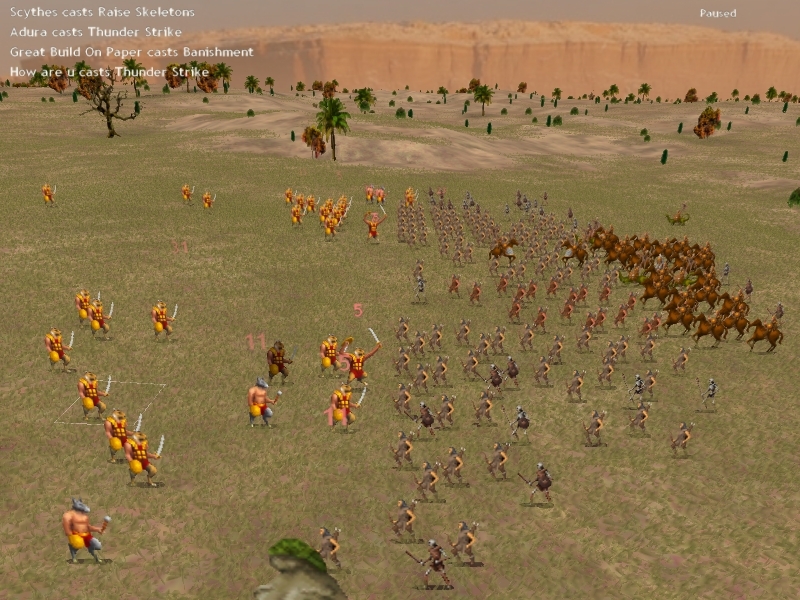 Demons are in melee, but half my Atavi have routed due to poison damage. 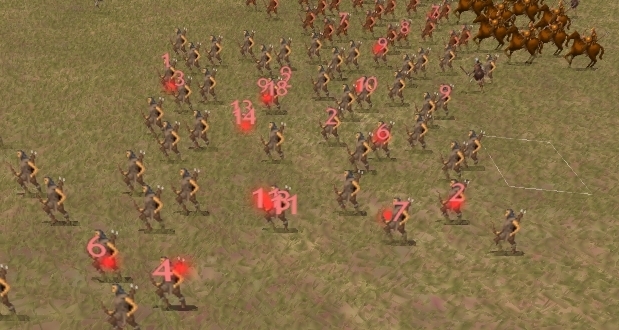 Low morale troops will rout due to poison easily. This pretender buffed Summon Earthpower and then is trying to trample my guys to death. This is fairly successfully, if only because it breaks up one of my two main squads of demons so they can't hit the enemy archer line. 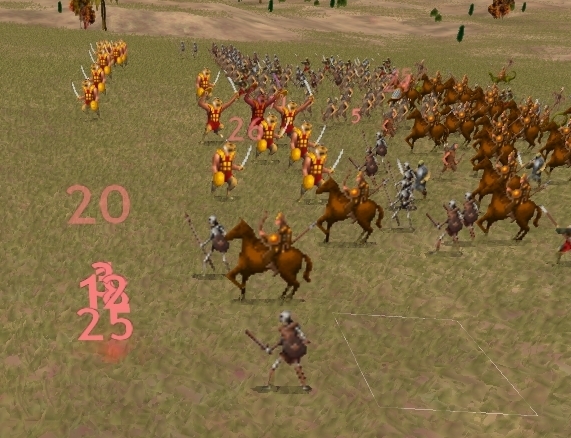 His archers also being to rout. 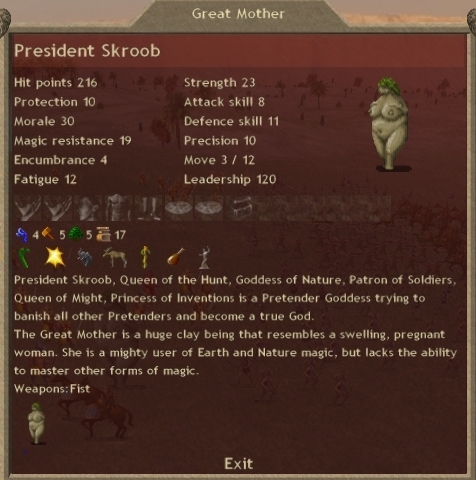 President Skroob has no real defensive abilities, and takes hard hits. She does have 22 hp / round regeneration however. Since this battle has taken longer than the previous, Sauro's skellyspam has actually formed a decent line. My northern squad routs, but a final volley from my Atavi turns President Skroob into a pincushion. Finally, my army routs entirely. 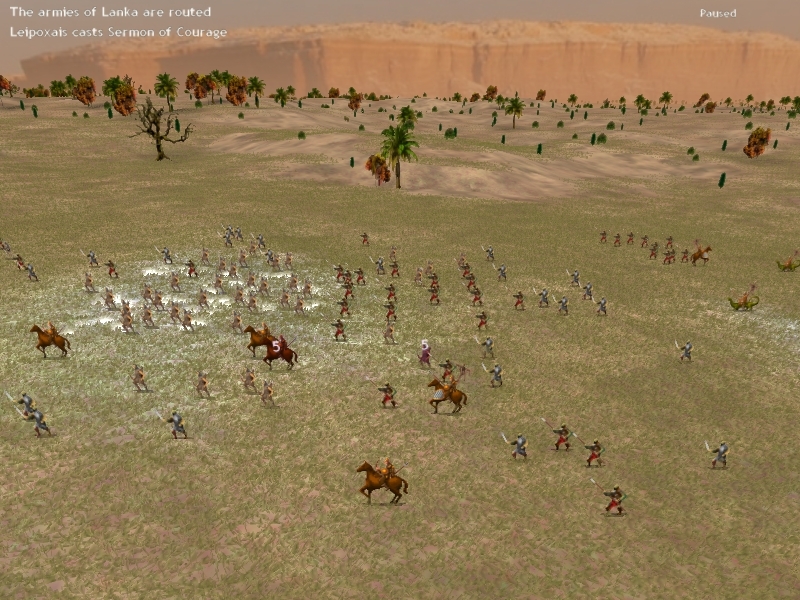 Remaining on Sauro's side are remnants of his Province Defense and a single squad of Androphag Archers. His other troops routed or died. 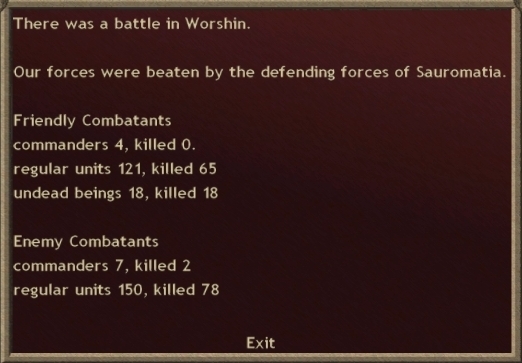 I killed one Witch King, his pretender, and half his remaining army. I went in with 37 sacreds. 7 came out. It ended up a very close battle. Defensive advantage and a trample pretender disrupting my battle line translated into a Sauro victory. 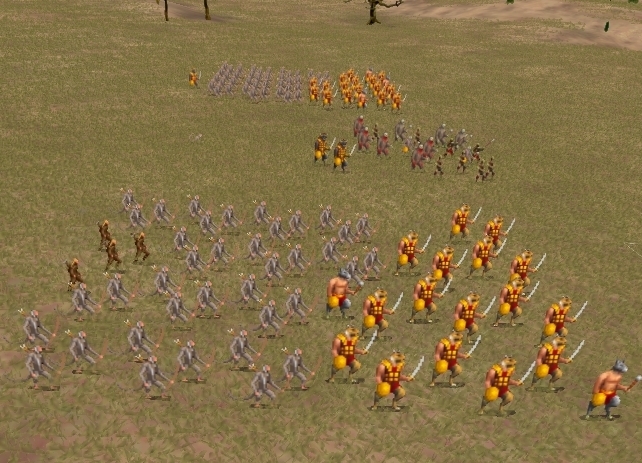 Had I committed all my resources (I had one more lightning caster and my pretender available), and/or had I used proper archer decoys, I think the battle was winnable. Assuming no scouting (a poor assumption, but usually a good enough default state of affairs), Hinnom sees none of my armies/pretender this turn. 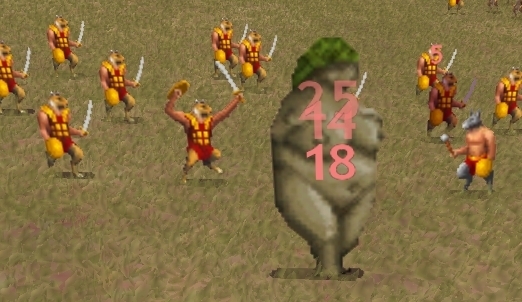 He's spent several turns building up and has a brand new unit composition that he seems to have bought in to. So my prediction is he's going to try for my capitol. 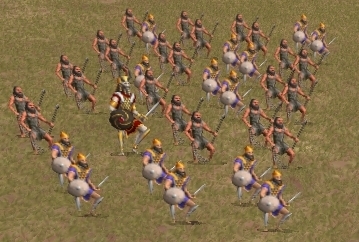 For the defense of the capitol, I have Peak Theorycrafting, 79 Atavi Archers, and 16 various demons. Hinnom has brought a simple placement, so my placement is also simple. 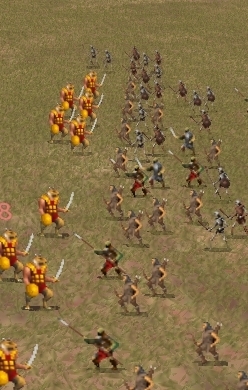 Horite Hunters are unshielded and have low protection, so as long as my Palankasha can hold them up a few turns, short bow arrows and battlemagic should tear them to shreds. edit: I'll note that President Skroob is actually the first pretender death (unless Pan or TC lost one that they haven't shown yet). Rainbow Dash died on turn 20.